For several years in his career musician, Tom Wilson was best known as lead singer for Canadian rock group Junkhouse. But these days Wilson has a house full of creative ideas, outlets and passions. And none of them could be deemed junk. Not by a long shot. Wilson’s latest project was a 2017 critically acclaimed memoir entitled Beautiful Scars: Steeltown Secrets, Mohawk Skywalkers and The Road Home. It’s a book shedding light on Wilson’s discovery of his Mohawk ancestry after finding out his was adopted, part of the Sixties Scoop where Indigenous children were taken from their birth parents and communities and put up for adoption. The artist, currently on a Beautiful Scars: A Literacy Recital tour featuring stories and songs (which hits Toronto’s Hugh’s Room Oct. 7), says he welcomed the chance to tell his story outside the confines of the traditional song structure. “It’s funny I was talking to my friend Alan Doyle (Great Big Sea singer) out in Newfoundland this summer,” he says. “I was saying we’ve been writing songs and we’ve been putting our stories into three verses and a chorus our entire lives. It’s like driving a little Fiat for groceries. Wilson adds he infused the book with poetry in order to bring “colour” to it to avoid it being “clinical.” He also says he saw little differences in the creative process compared to music or his paintings. As mentioned, Wilson teased fans in September during Hamilton’s Supercrawl by opening up his art studio space for fans to see what he was working on. Those works entitled Mohawk Warriors In Oil will be showcased at the Art Gallery of Burlington beginning Nov. 30. “It’s going to be an exhibit that travels Canada,” he says. “It’s a formal exhibit not in a private gallery but in a public gallery which is where I wanted my art to go. I didn’t feel that I wanted it to necessarily to have a price tag on it while it was showing. I decided to write stories from the book in paintings that I created of Mohawk warriors, Mohawk hunters and Mohawk chiefs. And as if that wasn’t enough, Wilson has two albums on the horizon. One is entitled Symphonic Scars which is a live recording he did with the Hamilton Philharmonic Orchestra earlier this year. 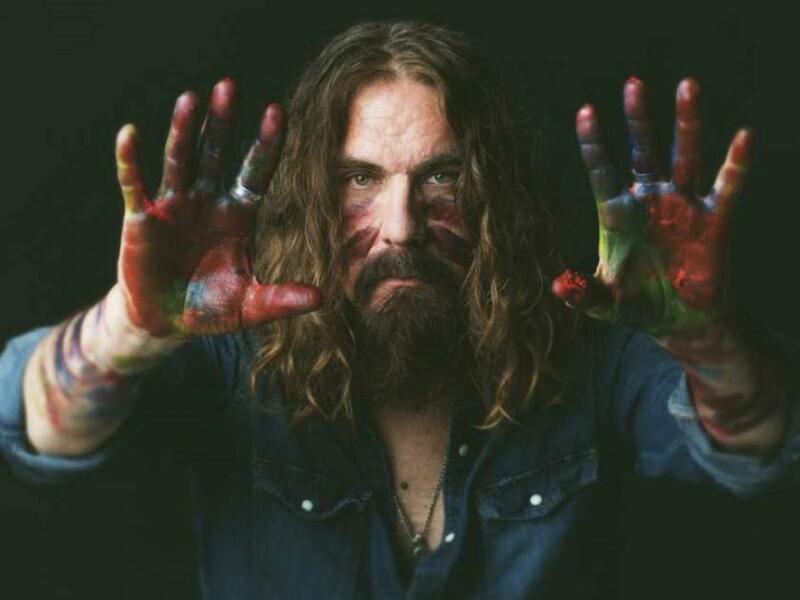 Meanwhile in early January Wilson will release a new studio album under the moniker Lee Harvey Osmond, an album whose material is inspired by material found in Beautiful Scars. Other things he’s working on include a theatrical one-man play version of Beautiful Scars which will be work-shopped in November. This is in addition to another book he’s contracted to write for Random House. “The creative process is all-encompassing, it doesn’t matter if I’m painting or speaking in public or writing a book or writing music or performing music,” he says. “It’s all part of the creative energy that I have to access in order to find any kind of happiness in this world, you know. So they’re all different fish swimming up the same stream.